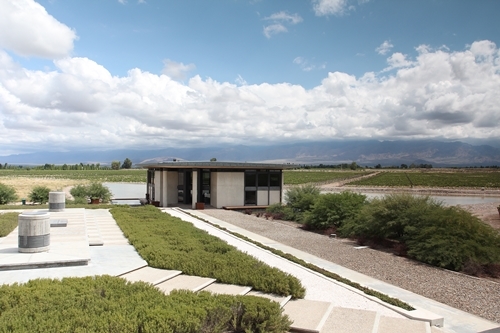 O. Founier’s winery and vineyards are located in La Consulta, the southernmost part of Uco Valley, 130 km from Mendoza. 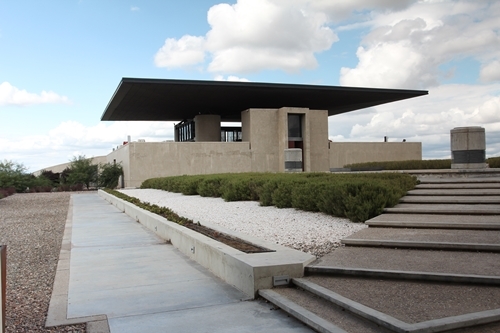 The winery was founded on an Estate of 263 hectares, by the former banker José Ortega Gil-Fournier in 2000, as one of 3 wineries in Argentina, Chile, and Spain. 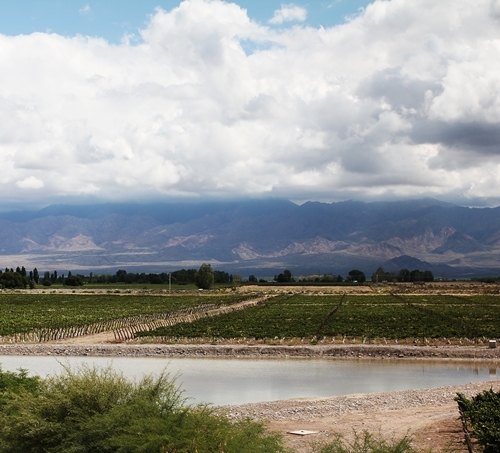 The Argentinian part of O. Fournier is divided between three estates, one only 15 km from the Andes at approximately 1,200 metres altitude. 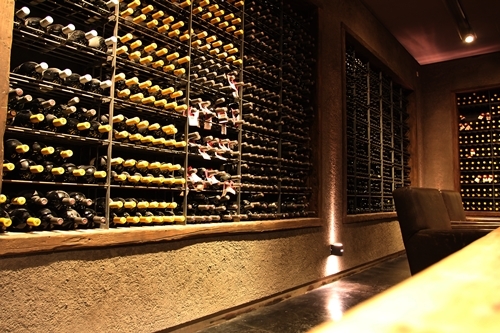 La Consulta is one of the most recognised terroirs for Malbec in Mendoza. This is due to its altitudes, well-draining soils and unique dry climate. 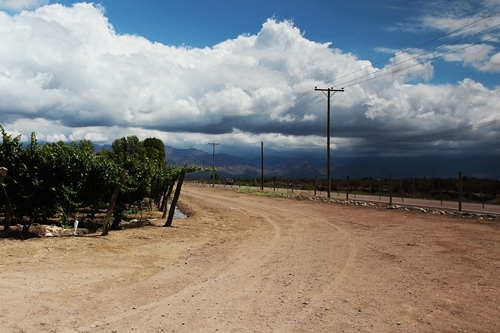 It is the driest and most desert alike in the Mendoza Province, and the vines consist of both trellised and bush vines. 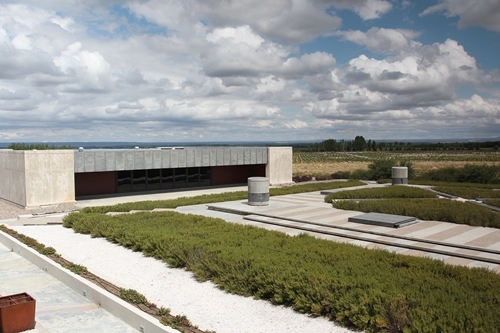 The winery sits in some spectacular architecture, by the Argentinian partners Bórmida and Yanzón. 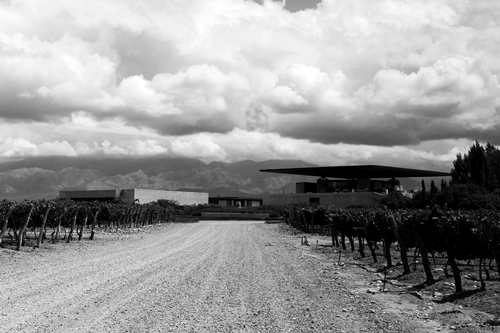 Bórmida & Yanzón have become world famous for the more than 18 wineries (they have designed in collaboration), which also include Selentein and DiamAndes. 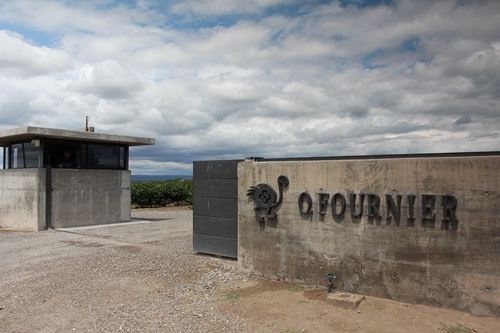 O. Fournier is made up of several interconnected building units, which are designed for individual purposes such as fine dining, offices, winemaking, and ageing. 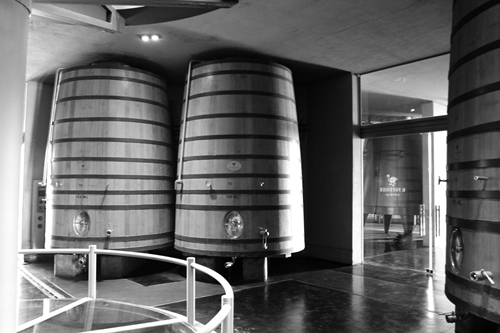 The vinification is done by gravity in this iconic construction. The “Urban at O. Fournier” Restaurant serves extraordinary set lunches of 6 courses, and are worth incorporating if you plan on visiting the winery. 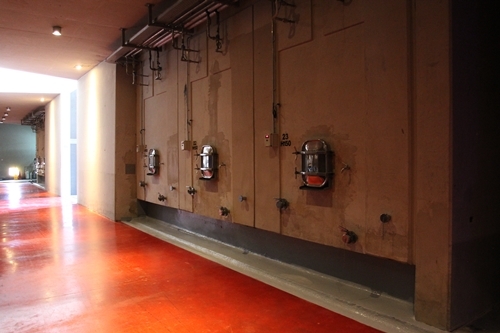 It is also connected to the underground barrel and bottle ageing section. One can on summer days enjoy their lunches on the deck by the lake, with some magnificent scenic views of the Andes. The third building houses their offices. And the barrel room is found underground (underneath the captured garden). 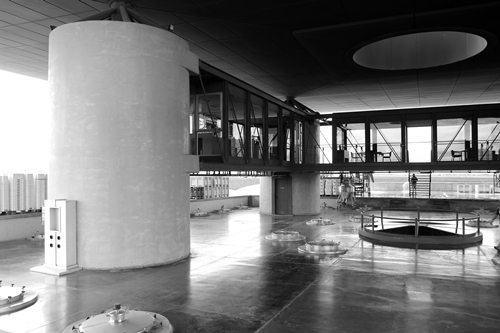 At the top level of their gravity flow winery, we find the receiving area. 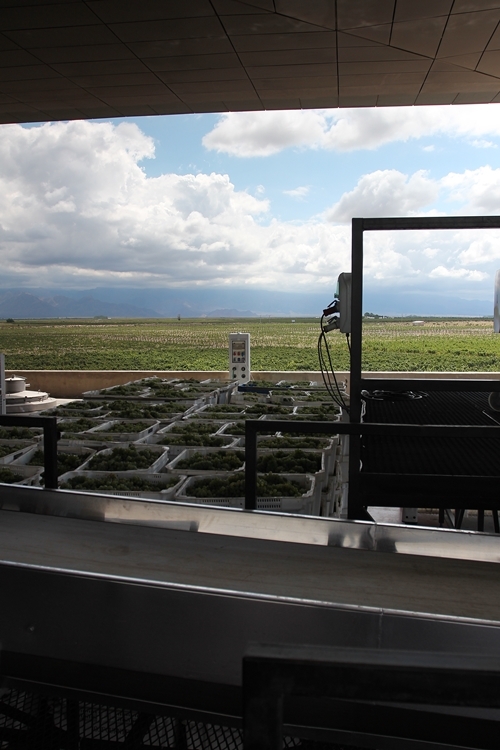 Here the workers are protected from the sun by the large metal roof, and receive the grapes through two ramps, which enable trucks to reach the floor. Newly harvested Sauvignon Blanc, and one of the sorting tables. 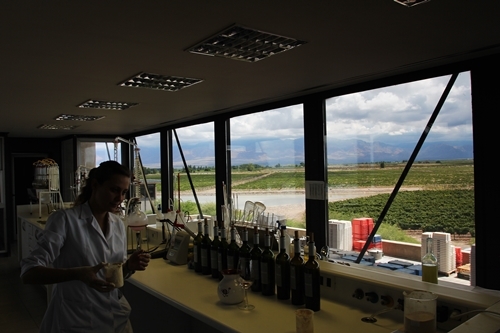 We also find their laboratory on the top floor, which has superior views of the Andes and surrounding vineyards. 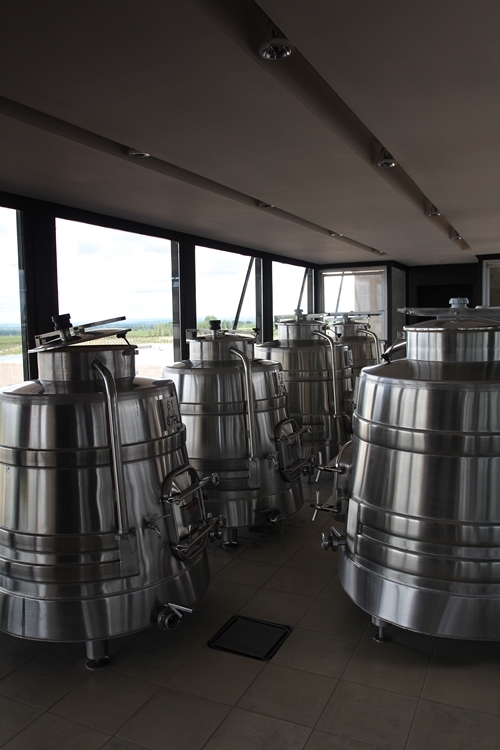 The small fermentation tanks are used for experimentation. 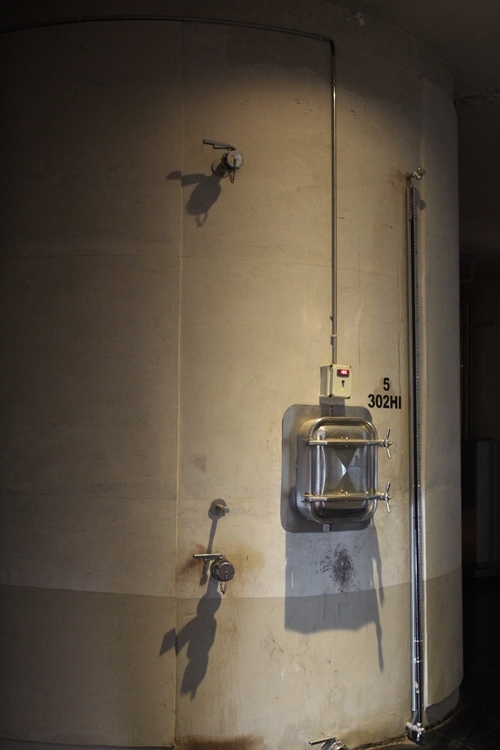 The real cuverie are found on the two floors beneath, and the vinification are done in fermentation tanks of oak, concrete and stainless steel. 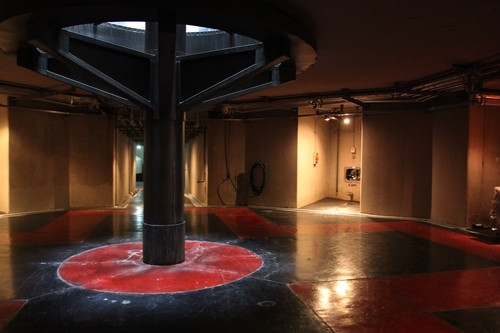 Here some of their many concrete tanks. Several different types of concrete vats and tanks are used, to be able to also do pump-overs and punchdowns on some lots. The use of concrete can give more natural wines with more forward fruit. 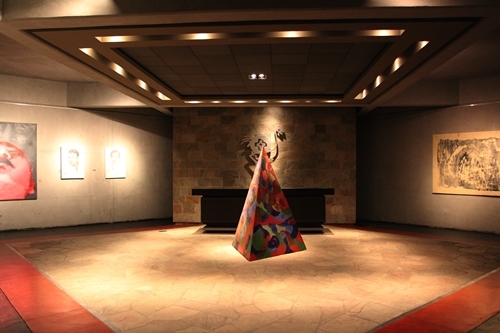 Their massive barrel room is decorated with both art and natural daylight (sparsely channelled in through the ceiling). 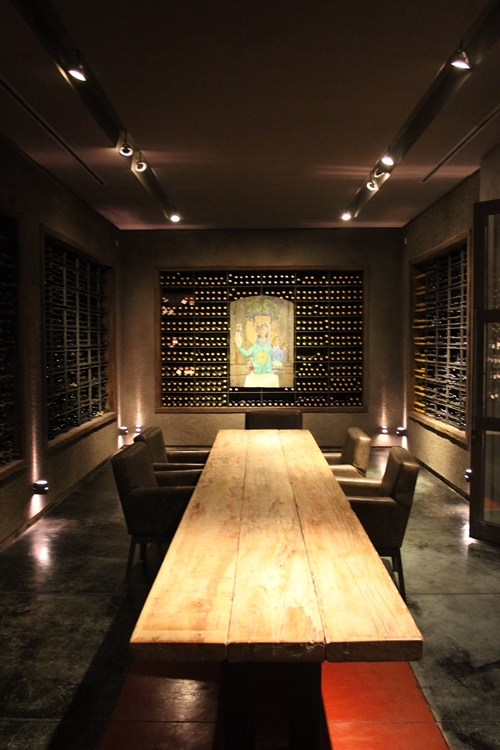 The private tasting room and collection is found below their restaurant. It neighbours both the tasting area/wine-shop and the barrel room. Here they keep a complete collection of their special bottlings, O. Fournier, Alfa Crux, and B Crux ranges. 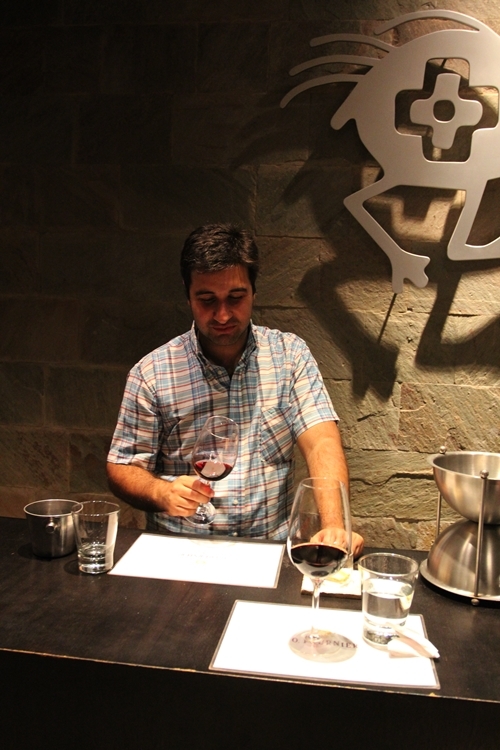 Ramiro Balliro, Chief Winemaker at O. Fournier Mendoza. 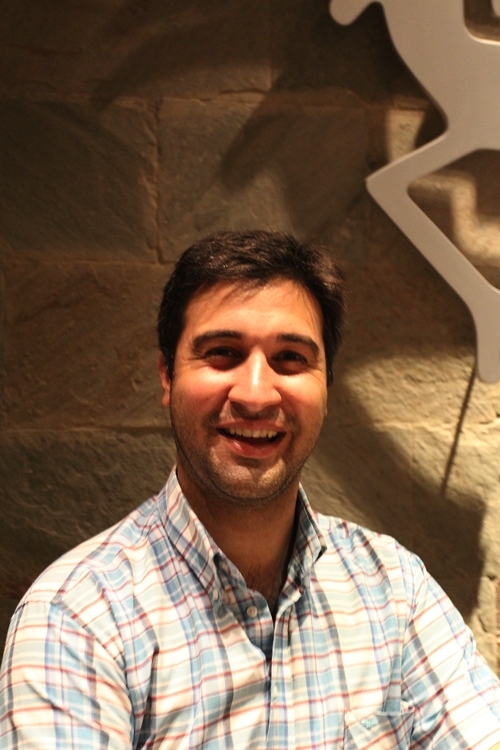 Ramiro is a warm character with a boyish charm and great sense of humour, which made him an excellent host. We also sampled a small selection of their brand “Urban Uco”. 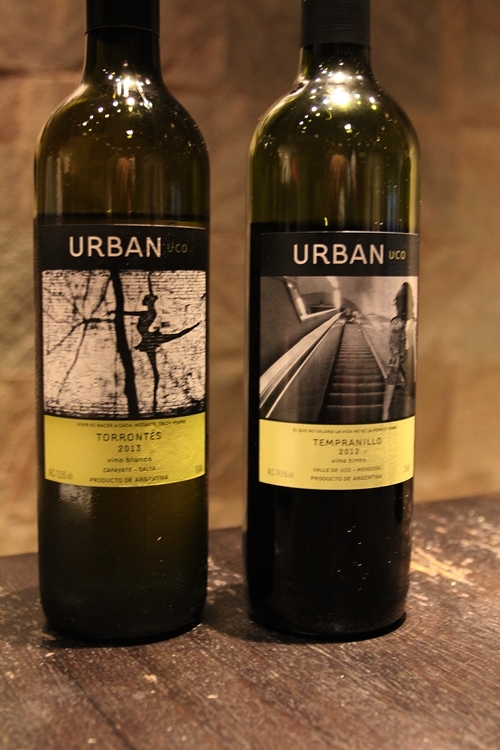 The brand consists of wines that are fresh and fruit-driven, marketed at the Urban consumer. The wines are definitely enjoyable, if not overly exciting. The Torrontés is made of fruit from the north in Cafayate, Salta. It combines peachy citrusy flavours with distinctive floral aromas and freshness. The Tempranillo is on the other hand made of the old bush vines you pass on your way to the winery. A fleshy wine with a bit of acidity, and a big contrast to the classic Tempranillo from Spain. 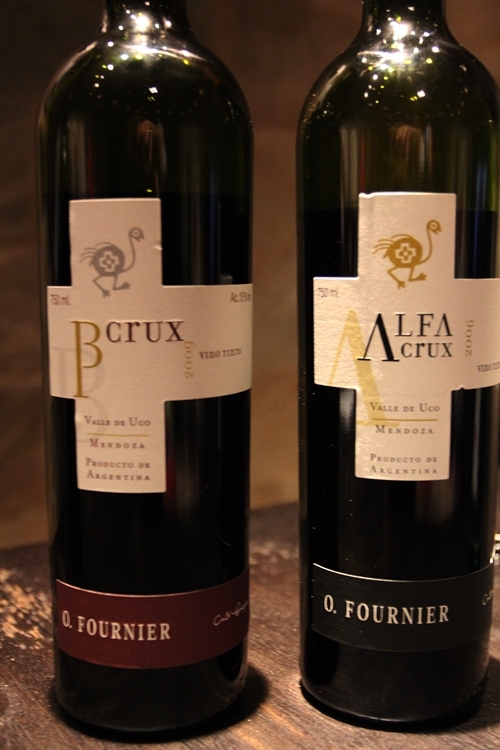 The wines O. Fournier are most known for are the Alfa Crux and B Crux ranges. The names of the “Alfa Crux” and “B Crux” wines are based on the stars of the Southern Cross. The characterisation of the ostrich on the label symbolises the joining of the earth and the sky. 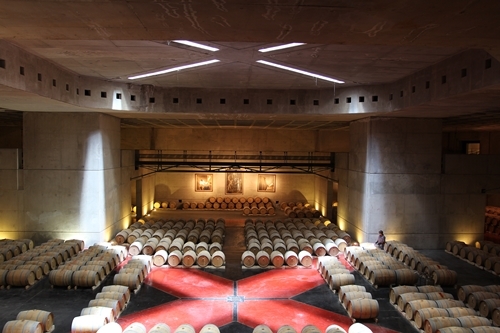 Their second wines, B Crux, have spent 12 months on oak, 50% on new oak barrels and 50% on 2nd filled barrels, where 80% are French and 20% American. The unfiltered wine has moreover had a minimum of 6 months of bottle ageing before it is released. Three local vineyards goes into the blend, and the 2009 vintage is a blend of 50% Malbec, 35% Tempranillo, and 15% Touriga Nacional (one of the port varieties). Wine is quite complex, yet incredibly savoury and balanced. Has a herbal minty nose with hints of cacao. A brilliant wine for its price. Their best wine goes into the Alfa Crux range. The 2006 vintage is a blend of 75% Tempranillo and 25% Malbec, and it has spent 20 months in oak new barrels, where 80% are French and 20% American. The unfiltered wine has an additional 12 months of bottle ageing. The Alfa Crux is more dense, the big quantities of Tempranillo, give concentrated flavours of dark ripe fruit and intense chocolate. Very elegant and extremely delicious.